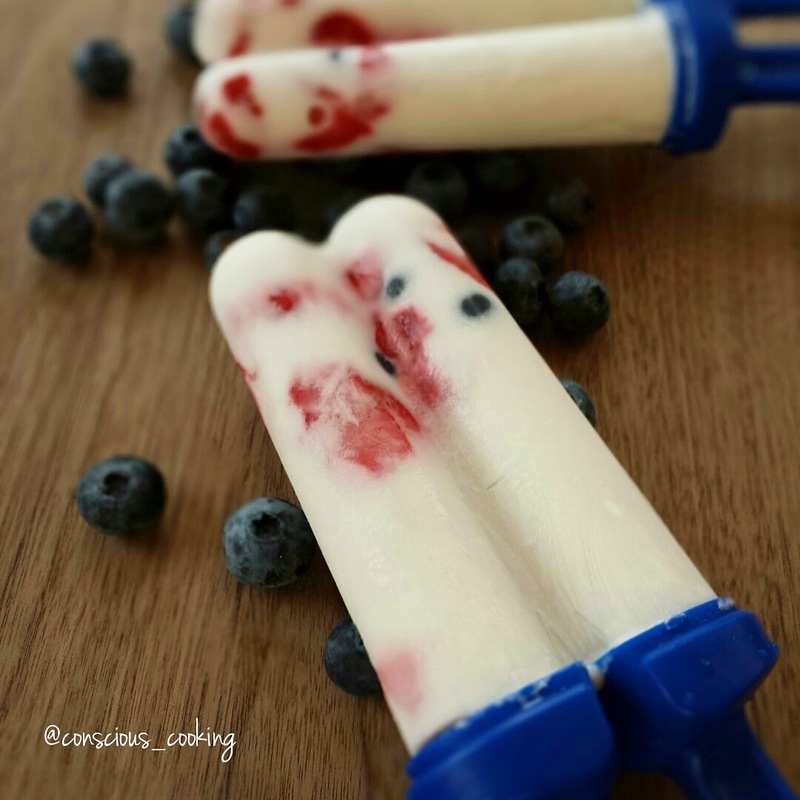 c-cooking: Frozen Treats – that are Yummy AND Healthy! 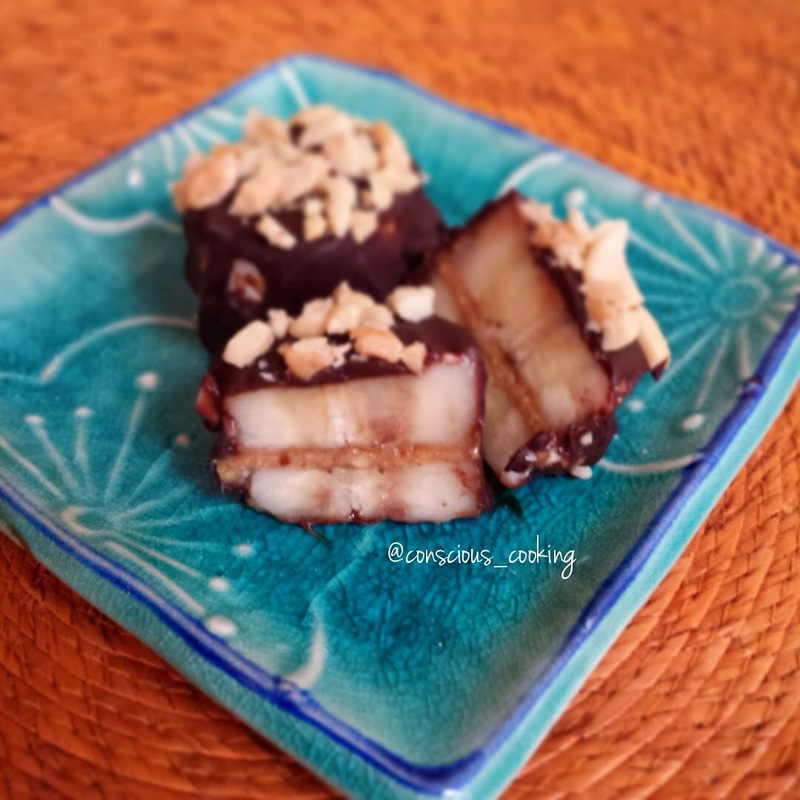 Frozen Treats – that are Yummy AND Healthy! Yes! Summer is here and we're always in need of a cold, refreshing treat. 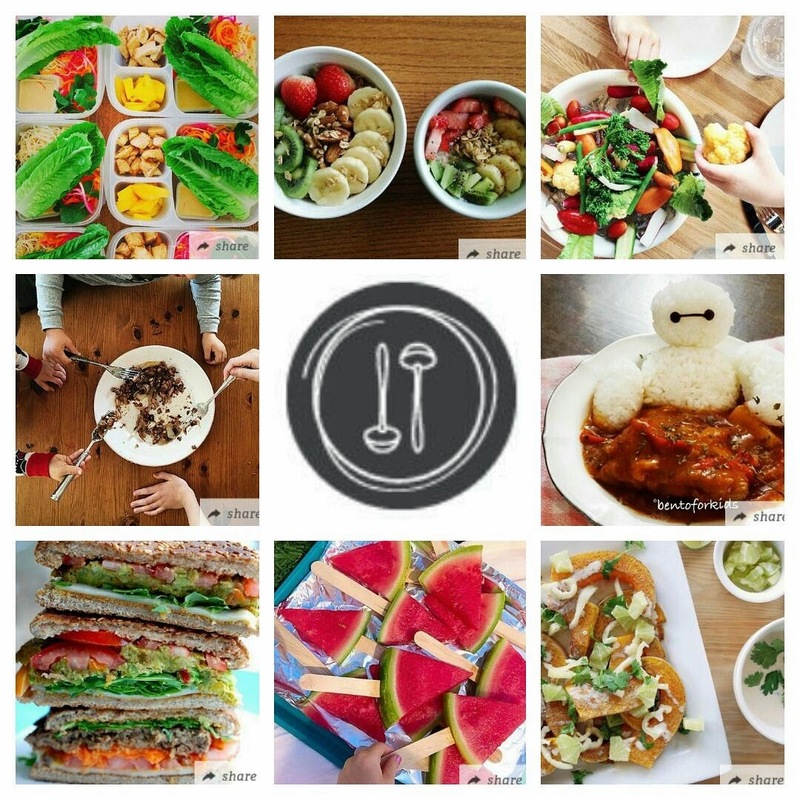 Here are a few incredibly simple recipes for healthy ice-cream alternatives! What's not to love about homemade, no added sugar, dairy-free, frozen treats? 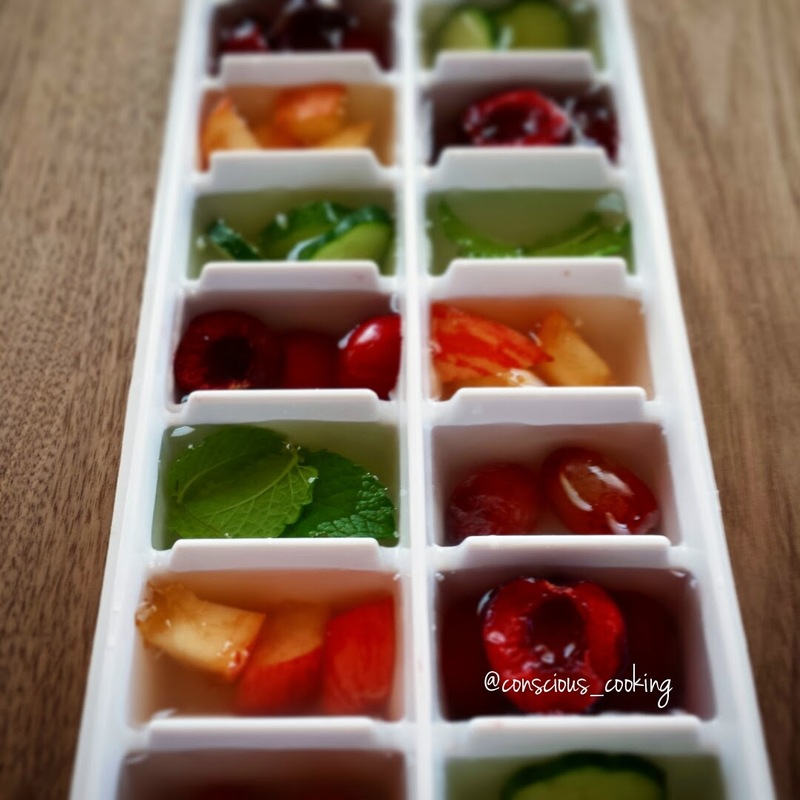 Cut the fruit into small pieces, and place into individual ice cube tray compartments. Freeze for 3-4 hours, until solid. Fill each popsicle/ice pop mould evenly with fruit. Fill the coconut milk mixture almost to the top. Slice the bananas into an even number of slices. Chop or crush the nuts and set aside on a small plate. Spread the nut butter in between two slices. Continue with the rest of the slices until you have a lot of little banana "sandwiches". In a heatproof bowl, placed on top of a saucepan of boiling water, melt the chocolate chips with the milk of choice. Stir constantly to let melt evenly. You want this mixture to be slightly runny, not too thick. Dip each banana sandwich into the melted chocolate. Then lightly dip into the chopped nuts. Set onto a tray (that'll fit into your freezer) lined with parchment paper. Continue with the rest, setting each of them a couple inches apart from each other. 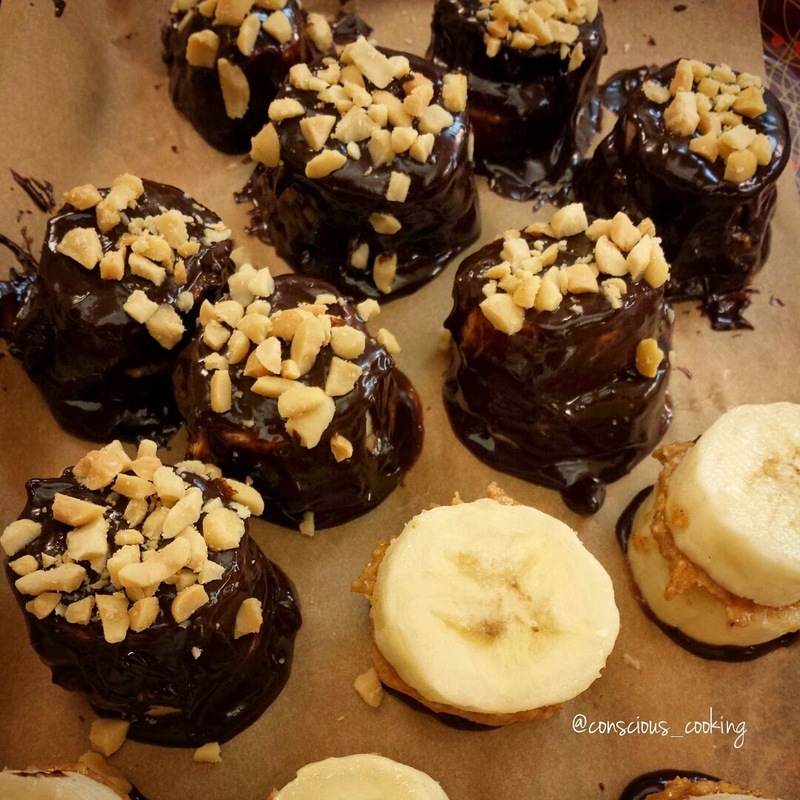 Once finished coating the bottoms, drizzle and spread a tablespoon of the chocolate on each banana stack. Sprinkle evenly with the remaining chopped nuts. Freeze for at least 4 hours, if you can wait that long!! !